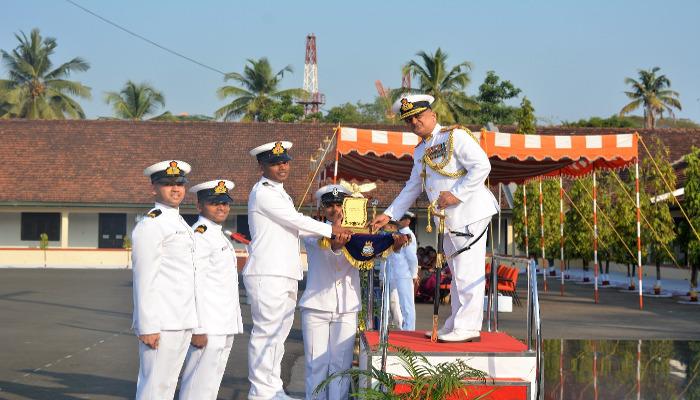 The Passing out Parade of the 58th Air Engineering and Air Electrical Officers Specialisation course (Aeronautical Engineers) was conducted on 22 January 2019 at an impressive ceremony held at Naval Institute of Aeronautical Technology (NIAT), Naval Base, Kochi. 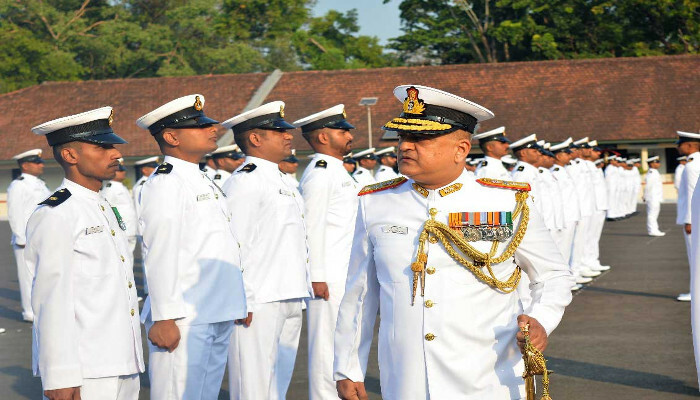 38 officers passed out through the portals of NIAT, which include 29 from the Indian Navy, four from Indian Coast Guard and five from friendly foreign navies of Vietnam, Mauritius and Bangladesh. 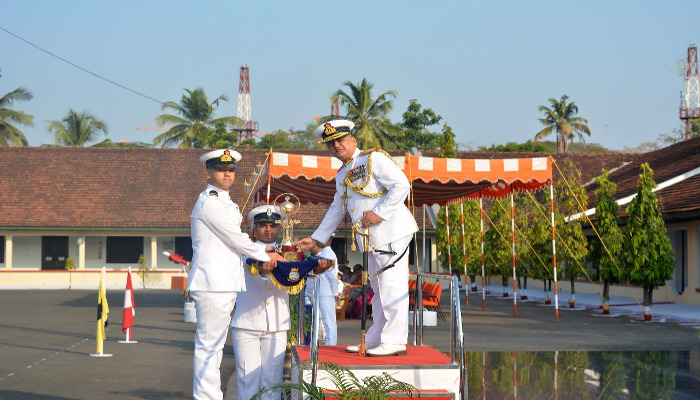 The passing out parade was reviewed by Surgeon Rear Admiral Joy Chatterjee, VSM, Command Medical Officer of Southern Naval Command. Surgeon Rear Admiral Joy Chatterjee, VSM, Command Medical Officer, Southern Naval Command congratulated all officers of the passing out course and the award winners in particular. He exhorted them to rise to the challenge in taking on increased responsibilities, consequent to induction of new generation aircraft. He also lauded the efforts of NIAT, which is also the ‘Centre of Excellence for Aeronautical Science and Technology,’ in ensuring high standards of excellence in aeronautical technical training and rendering 62 years of yeoman service to Naval Aviation. The officers have undergone 52 weeks of intensive training in advanced aeronautical subjects, besides practical training on various types of aircraft operated by both Indian Navy and Coast Guard. Assistant Commandant Ashmit Khaneja and Sub Lieutenant Gaurav Tyagi were awarded trophies for standing first in overall order of merit amongst Air Engineering and Air Electrical officers respectively. 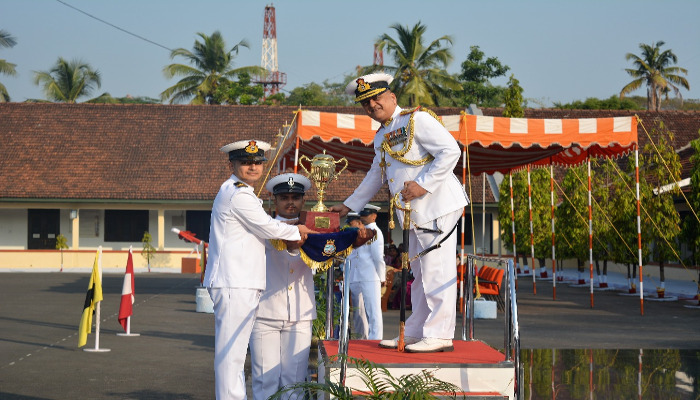 The Director General Coast Guard trophy for Best All-Round Officer of the course was awarded to Sub Lieutenant Gaurav Tyagi, whereas the Venduruthy Shield for Best Air Technical Project was awarded to a syndicate comprising of Lieutenant S Sahoo, Lieutenant Aman Pandey and Sub Lieutenant Gaurav Tyagi. On passing out from NIAT, the officers would be proceeding to their respective air squadrons at various air stations for their competency, which would culminate with the award of MTech degree, from Cochin University of Science and Technology.